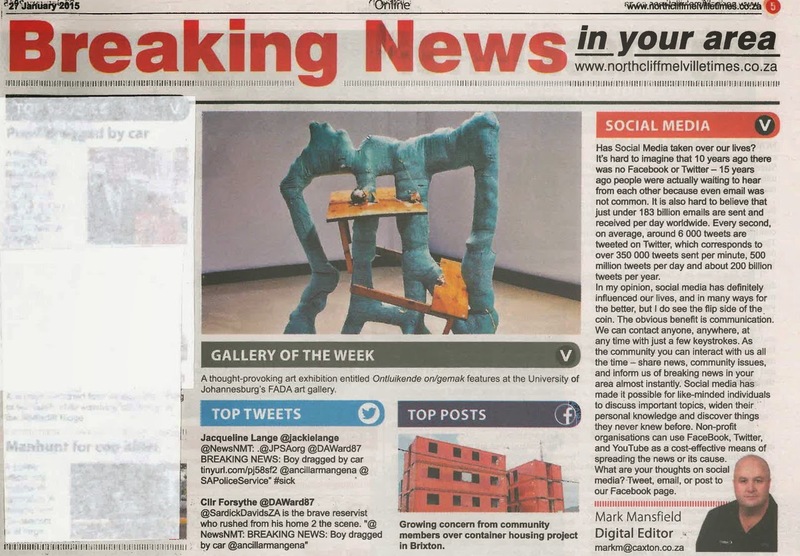 eye hand mind seeing making and understanding: Press Release. FADA Gallery 30 June - 24 July. Learning departs from what is known. 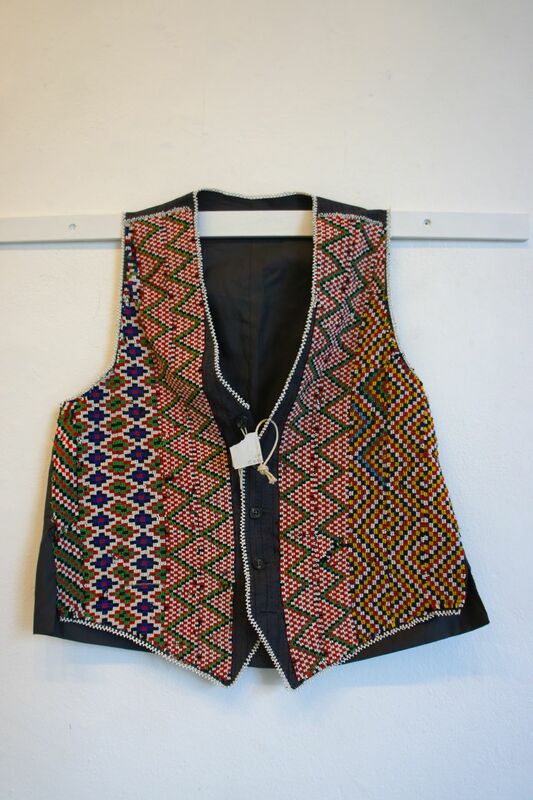 On the journey documented here, words spoken by particular master weavers, beadwork makers, potters and painters, each situated in a particular cultural landscape, are leading to successful learning ideas for the rural high school. Official Event: Monday 20 July 18:00 for 18:30. 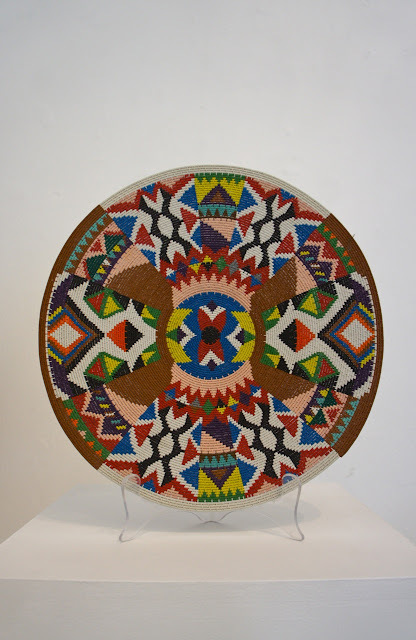 Daily viewing from Monday 13 July – Friday 24 July 2015. 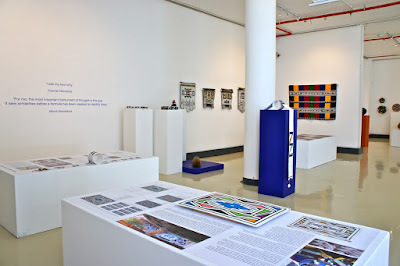 Gallery hours: Monday to Friday 09:00 – 16:00. 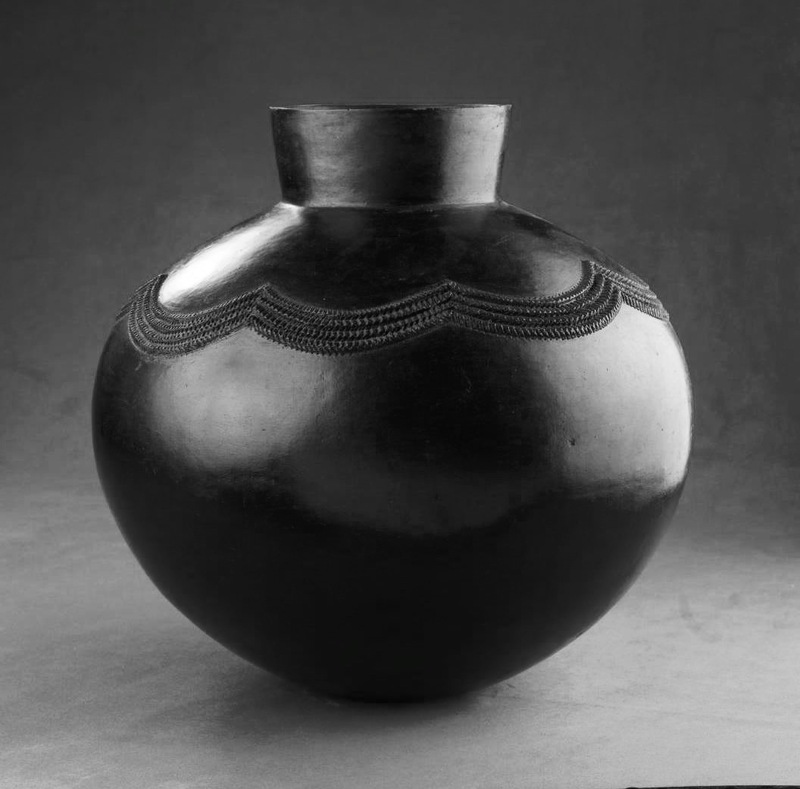 Penny and Digby Hoets Collection. Real learning departs from what is known. Much is written about South Africa’s education crisis. But seldom does one read about the needs of rural teachers and learners. Their learning context is very different to the urban one due to a lack of resources we take for granted. 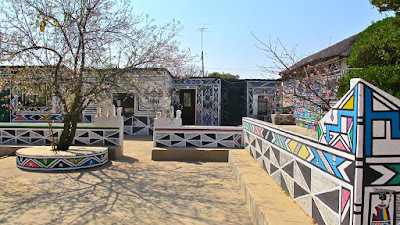 The South African rural learning ecology, situated in more than one ‘cultural heartland’ (as the road signs signal on the N12 north-east, for example) is seldom considered for what it might have to offer the South African high school learner. 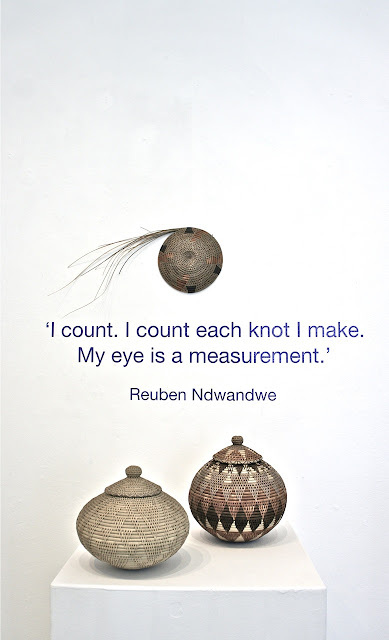 The exhibition Eye hand mind: seeing, making and understanding, was curated by Eugene Hön and Helene Smuts to celebrate the work of rural master artists, national treasures all, as the expression of southern Africa’s relatively unacknowledged local knowledge systems. coiled and pit-fired Zulu ceramic vessel. The exhibition also presents an extraordinary process of rural/urban knowledge exchange. 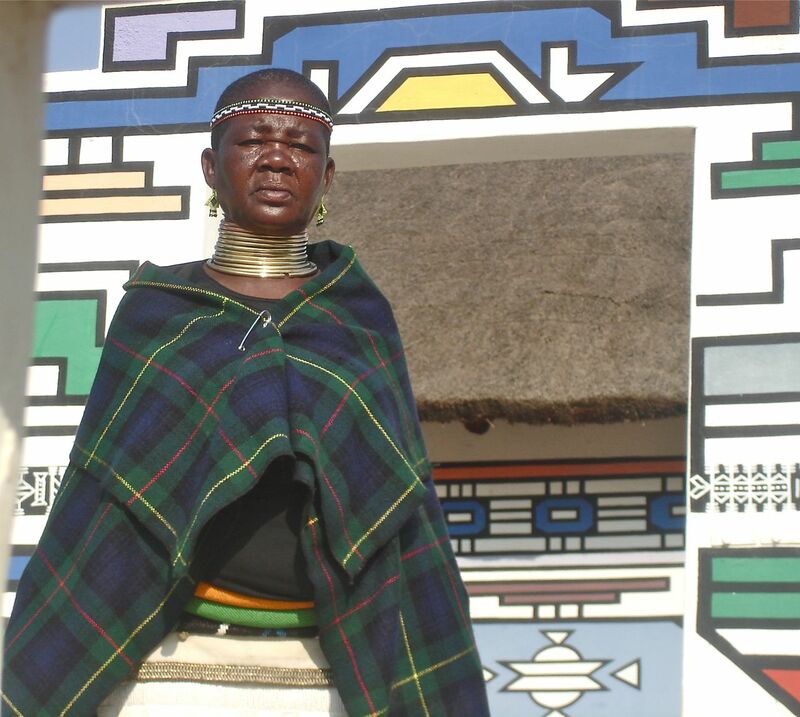 The Africa meets Africa project (AmA), an independent educational NPC (Non Profit Company) has been facilitating this knowledge exchange in an ongoing conversation with artists and local leadership in particular rural communities and the AmA interdisciplinary team of foremost academic specialists. Nthombifuthi Magwaza. 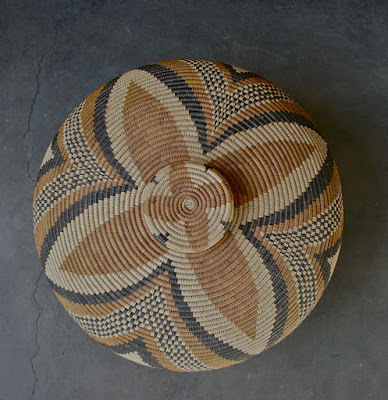 Telephone wire woven basket. 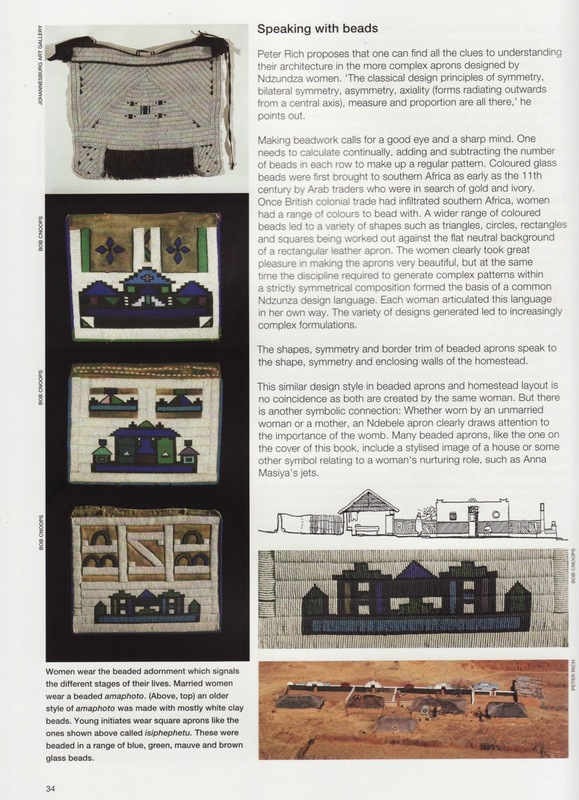 Gold award winner FNB Crafts Now 1998. 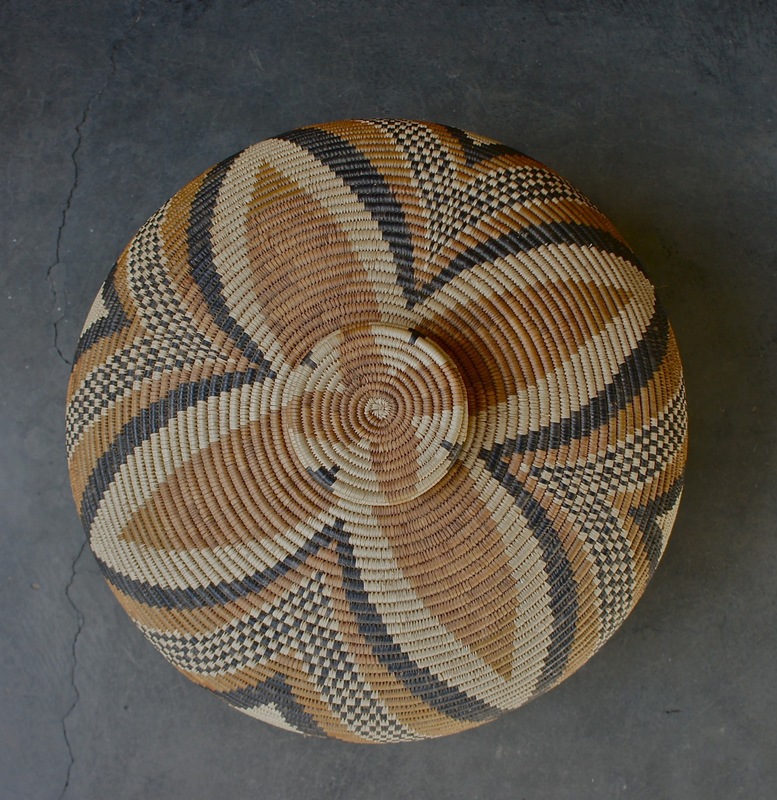 Reuben Ndwandwe woven baskets. 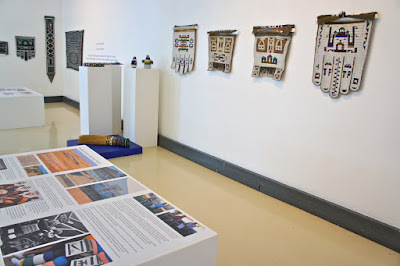 Collections Jannie van Heerden and UJ. 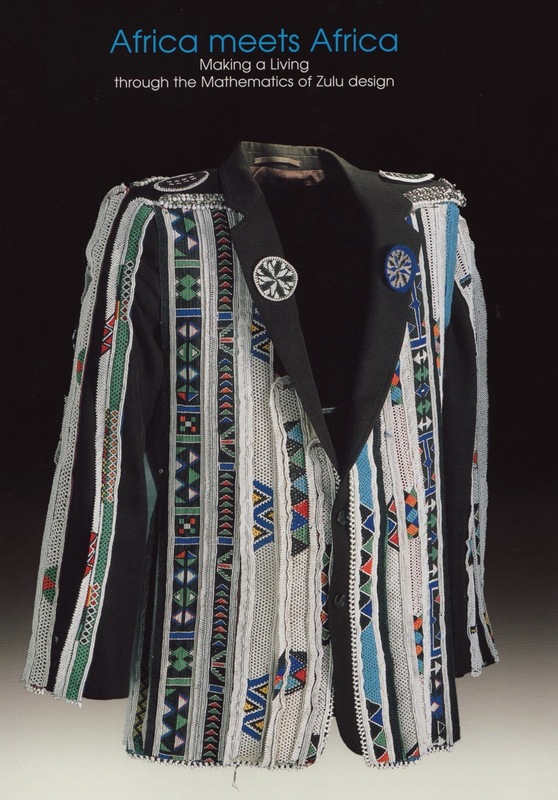 This primary research is published in a richly illustrated series of educator’s resource books and narrative documentary films (on sale at the exhibition, along with remarkable pieces of traditional beadwork, weaving and painting) which certainly open up the rural heartland for any one of us South Africans who seldom escape urban life. Edited versions of the films, produced by Guy Spiller (Art, science and heritage filmmaker), together with ceramic vessels and art works are showcased in the black-cube, the lower-ground floor of the FADA Gallery (image below). 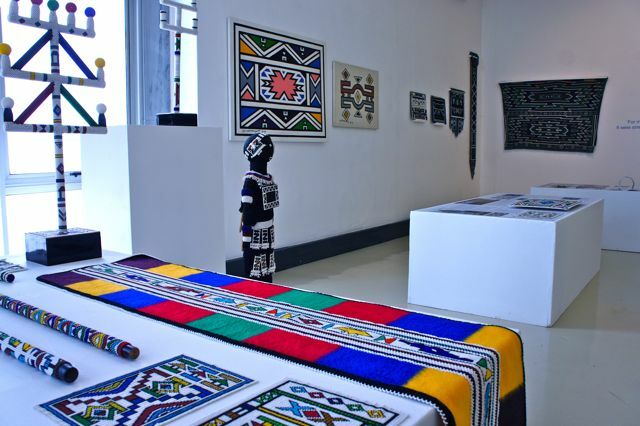 Ndebele beadwork, aprons on display. Collection Alex Zaloumis. Out of its research Africa meets Africa has developed pragmatic solutions for the rural and urban South African classroom both, by looking to the broad diversity of interlinked southern African local knowledge systems, particularly as these are articulated in the skilled hands of rural artists. Exquisite objects, made for everyday use according to inherited styles of beadwork, weaving, pottery and homestead painting, reveal an astonishing integrity of design and innovation with contemporary materials and forms. 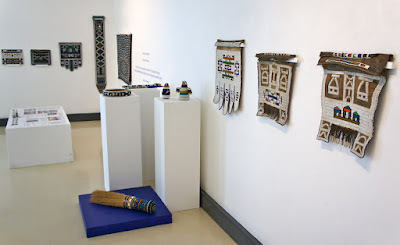 Now Grade 9 and 10 teachers and learners make beadwork, weave and paint to find a concrete and a visual entry point to the abstract language of mathematics. 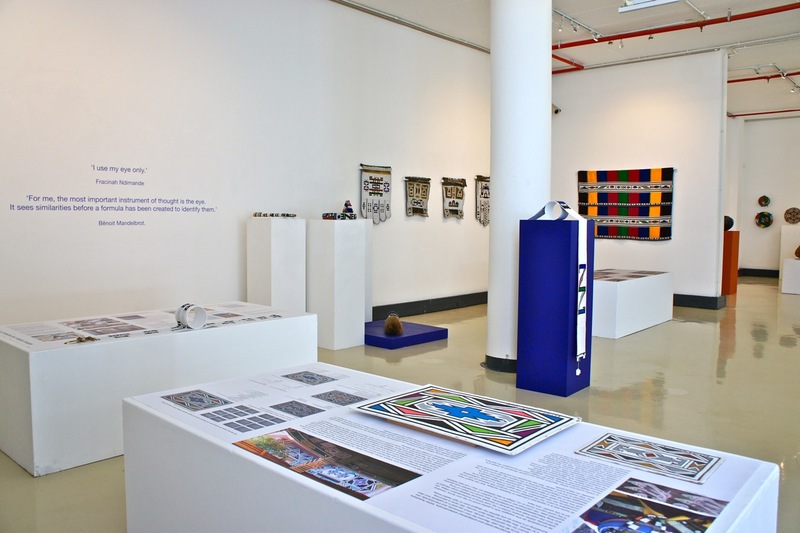 Science is introduced through contemporary cutting edge South African art, astronomy and archeology and the act of sensitive observation these disciplines have in common. 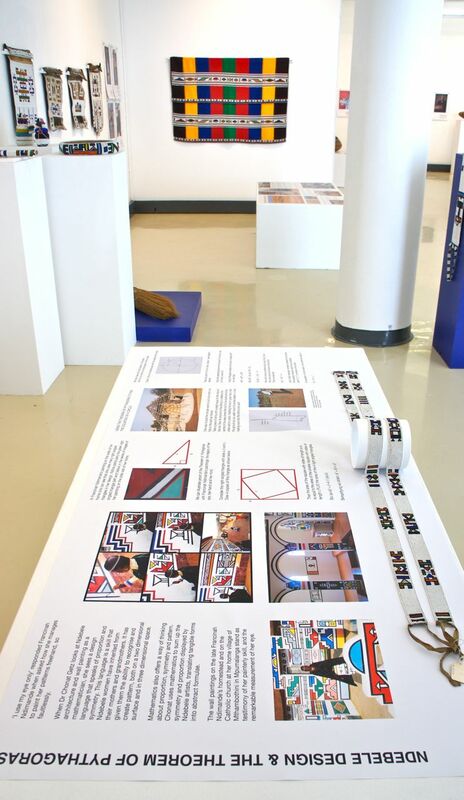 In short, the STEAM (Science Technology Art and Mathematics) versus STEM debate in education, well underway in the United States, has been explored in the work presented here for well over a decade. 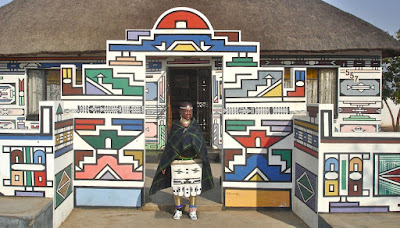 Esther Mahlangu homestead. Photo Helene Smuts. 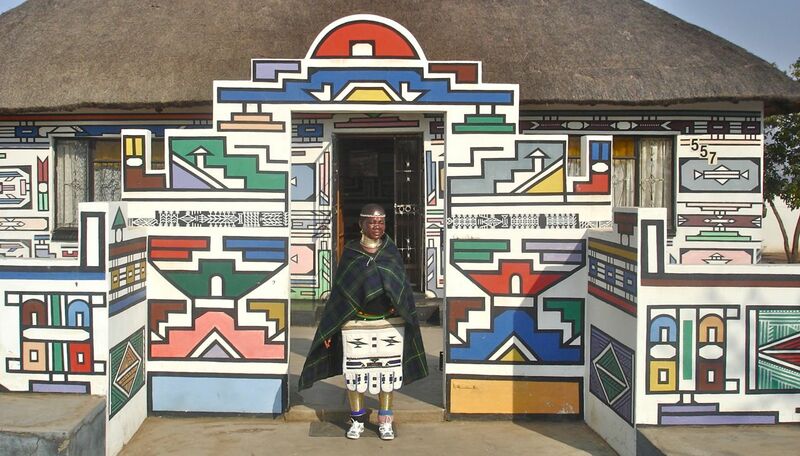 And yet: the surviving iconic master artists of rural South Africa, like the famous Esther Mahlangu (image below), a key participant in the project, share great concern that their art might not survive beyond their own generation. 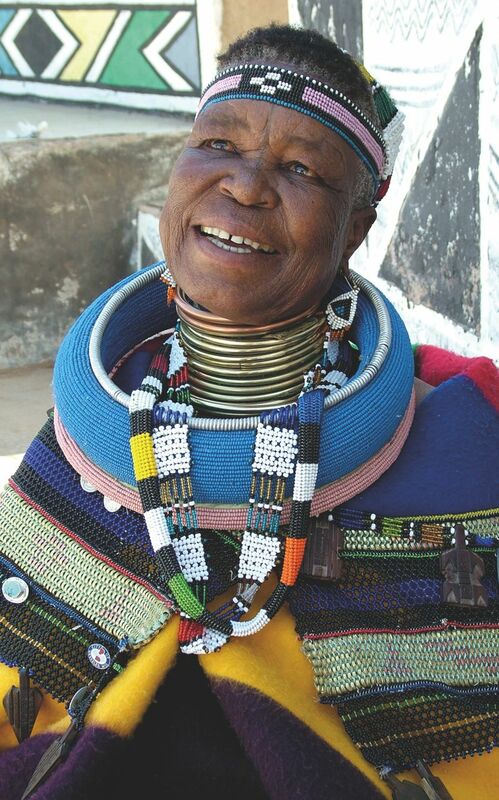 Esther Mahlangu. Photo Anina Bartlett. copyright photographer. 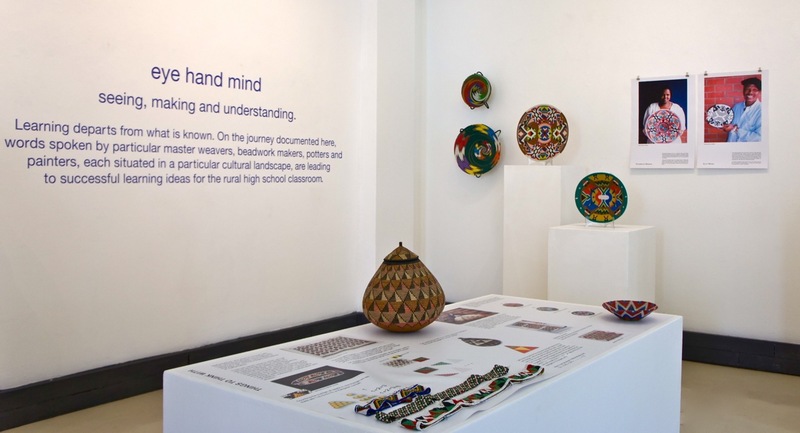 The exhibition Eye hand mind: seeing, making and understanding also shows how Africa meets Africa brings these master artists and their knowledge into the rural classroom. 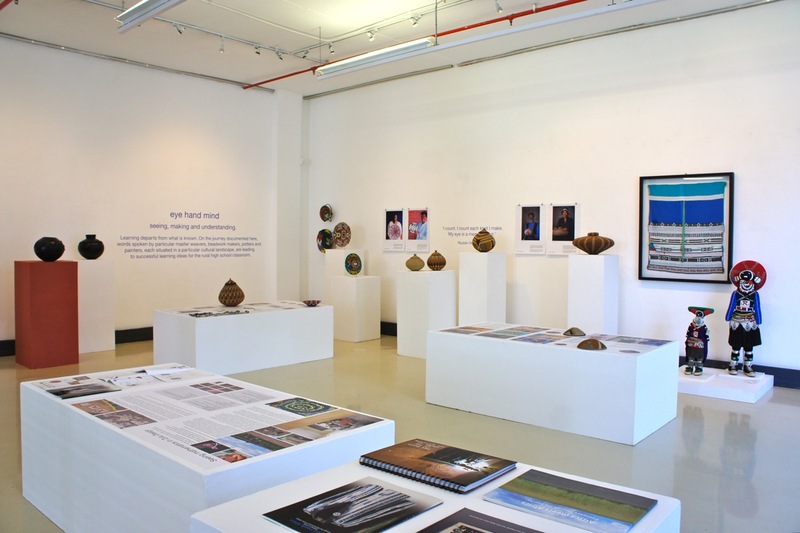 AmA has developed a unique arts skills based learning methodology, which integrates the subjects Visual arts, History and Mathematics within the requirements of the national CAPS curriculum. 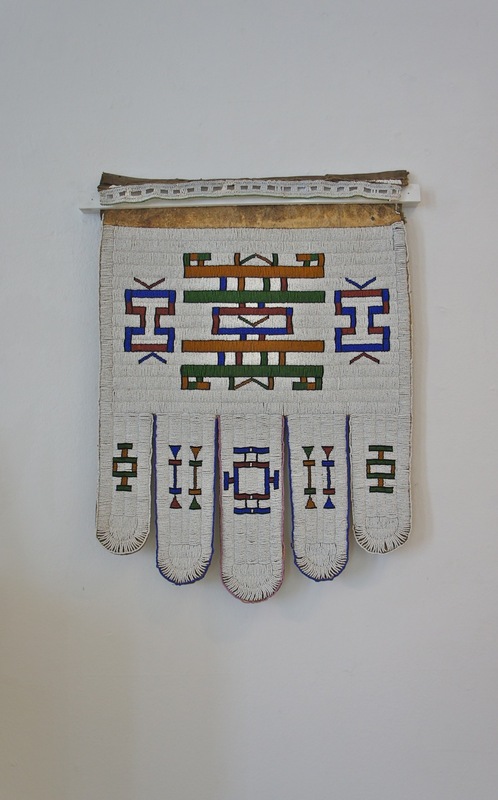 High school learners do geometry with their hands as they make beadwork and weave according to inherited southern African styles. 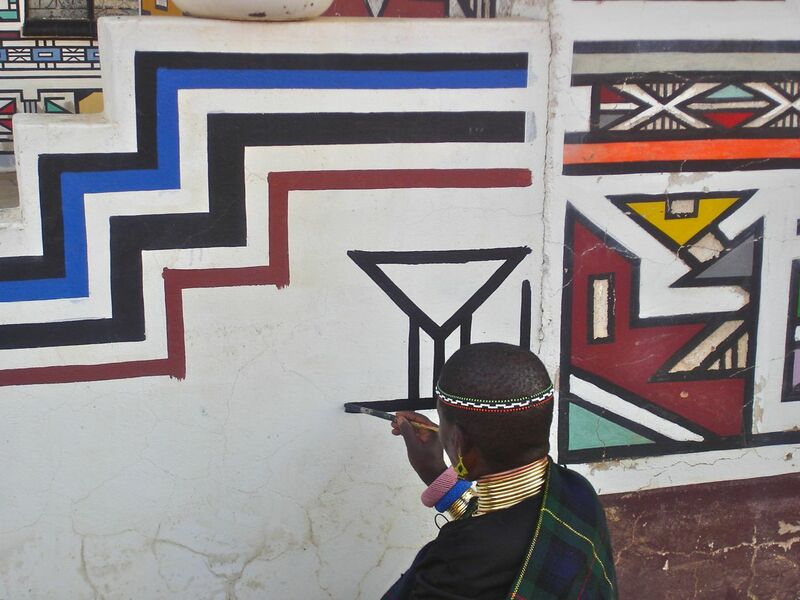 Francinah Ndimande painting her homestead. Photo Helene Smuts. 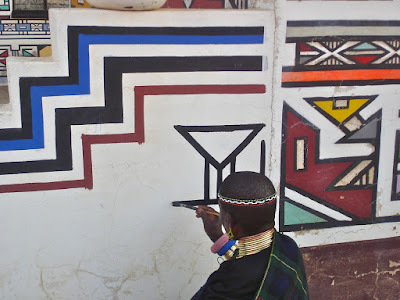 The Theorem of Pythagoras is discovered in Ndebele homestead wall painting (images above and below below). 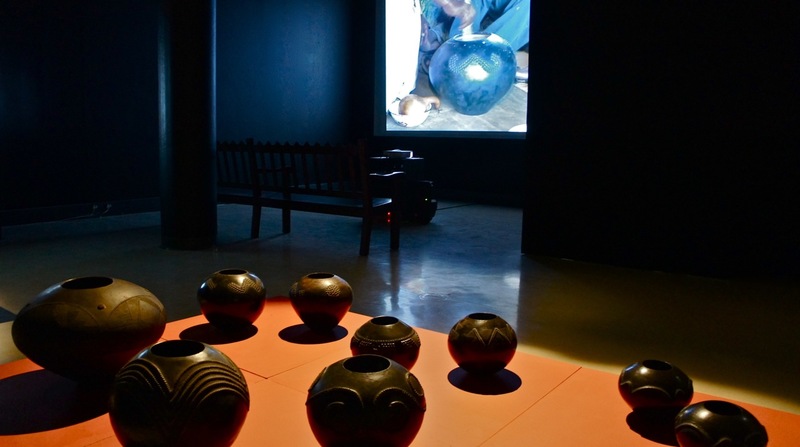 Cultural expression is contextualized in relation to past and present needs. This visual language of learning successfully supports the many rural learners who experience textbook English as a barrier to learning, as it is most often their third or fourth spoken language. ‘For me the eye is the most sophisticated instrument of thought. It sees similarities before a formula has been created to identify them’. 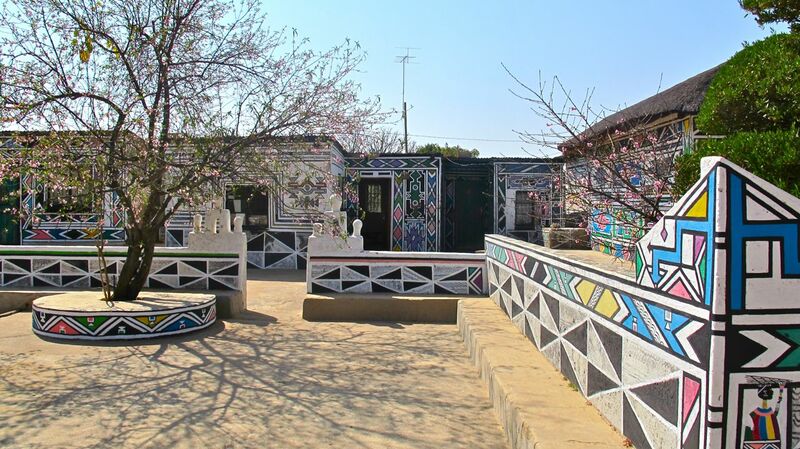 Africa meets Africa introduces teachers to all its CAPS curriculum linked resource materials within training programmes presented in partnership with various universities and provincial or district government education departments. Ultimately each teacher works with the full series of Africa meets Africa resources developed in relation to particular places within a shared southern African cultural landscape. Each resource book and film in the Africa meets Africa series is on display in the exhibition: Eye hand mind: seeing, making and understanding along with some of the exquisite examples of southern African art which inspired them. 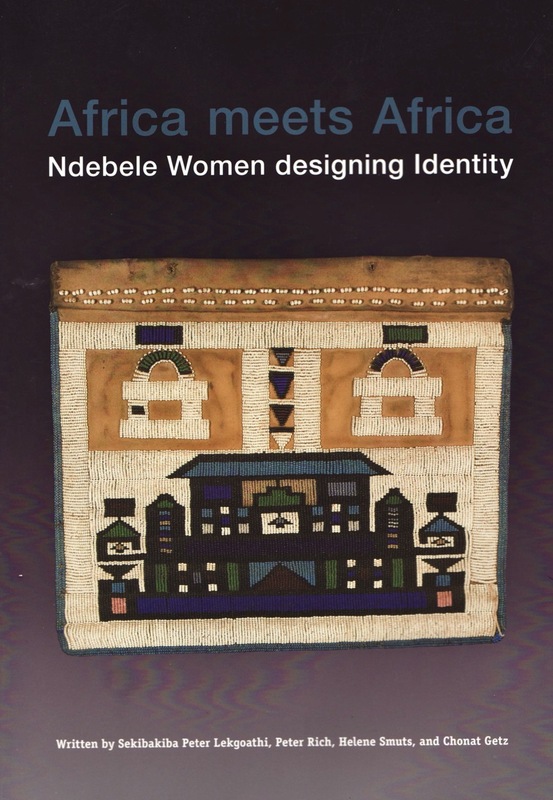 For additional information on Africa meets Africa, view the Website: or contact the director Helene Smuts (Director). Email: helenesmuts@gmail.com. A wide range of works are for sale - price-list available on request.